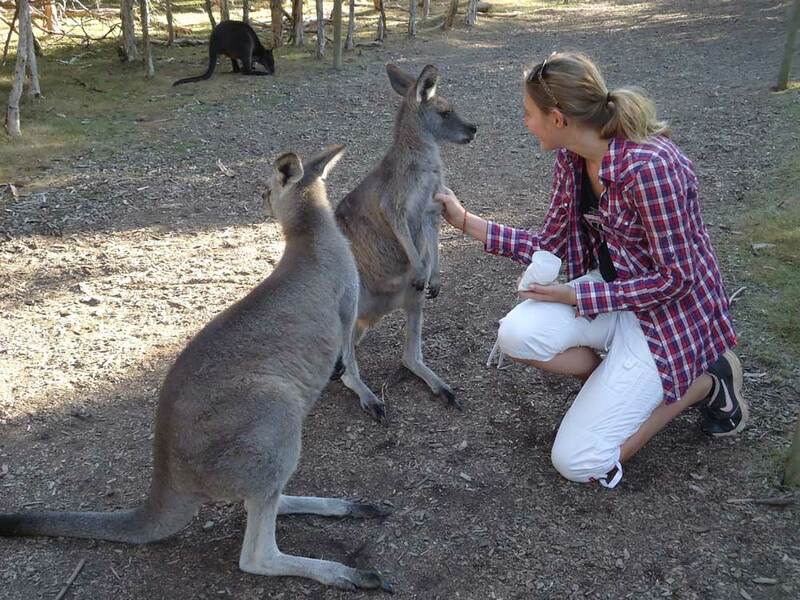 I have been given the amazing opportunity to be an Au pair in two Australian families. In the first 6 months my home was on a farm in the middle of nowhere (not for Australian people, but definately for me!) taking care of a boy and a girl. Even though they lived next to a small town I made friends, there were two other Au pairs around and I even could help out in church with the teenagers sometimes! It is great how friendly and open Aussies are. But who doesn’t get homesick the first few weeks? Well, I did sometimes but the lovely family made me part of their family, so I didn’t really haved time to be sad. They introduced me to everyone and I still have some memories of having long talks to the grandparents of the mother, or going on a road trip. Sometimes the kids were hard to handle but as life is, it has its ups and downs. I have learned a lot about myself. Where do I set boundaries? Not having my friends and family here, which values do I share? I have been growing as a person and I became more independant and responsible. It was sad when the time came to levae my first host family, I felt like that I was just building up a relationship with the kids. After being on the countryside I moved to my second host family in Melbourne, where I take care of 4 kids. There is a lot of life in this house as you could imagine, I am busy most of the time. To be honest, I can`t tell which family I like better, because they are both lovely and caring, seeing it as a pleasure to share their everyday life with me. Not only have I become more experienced in taking care of children, I have to say on my many weekend trips I have seen so much of Australia. On one holiday I even had the chance to visit my friend in New Zealand. All in all, it has been an awesome adventure. I have to say thank you to my two host families and to Christian Au pairs. If you are thinking about being an Au pair I can just highly recommend it, if you like to spent time with kids. It will be a life-changing experience!